Whether he’s blazing through the blues on his own or rocking with Black Country Communion, Joe Bonamassa’s playing is fiery, deep, and p.. Whether he’s blazing through the blues on his own or rocking with Black Country Communion, Joe Bonamassa’s playing is fiery, deep, and powerful. 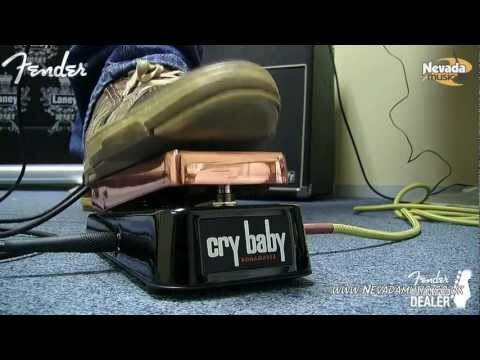 And when he really wants to express himself in a solo, he steps on a Cry Baby wah. That’s why we at Dunlop worked with Joe to develop the Joe Bonamassa Signature Cry Baby, specially engineered to fit in perfectly with Joe’s system, from the way it looks to the way it sounds. On the outside, it sports a classy copper top with a smooth-finish black body. On the inside, it features large, vintage-style thru-hole components, a Halo inductor (for added harmonic content), an output buffer (to prevent impedance imbalance with vintage fuzz pedals), and a switch for true-bypass or non-true-bypass operation (Joe prefers non-True Bypass as it darkens the high end). 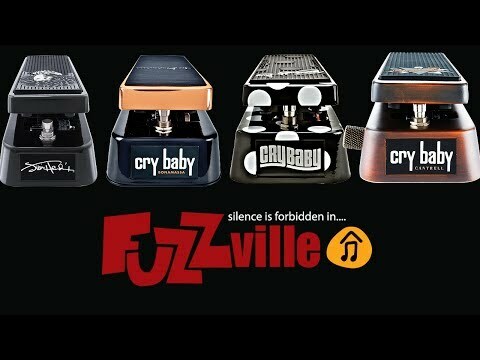 With its huge vocal sweep range, this is one of the most expressive Cry Babys ever, and it’s Joe’s tool of choice to accentuate every soulful bend and bluesy wail.